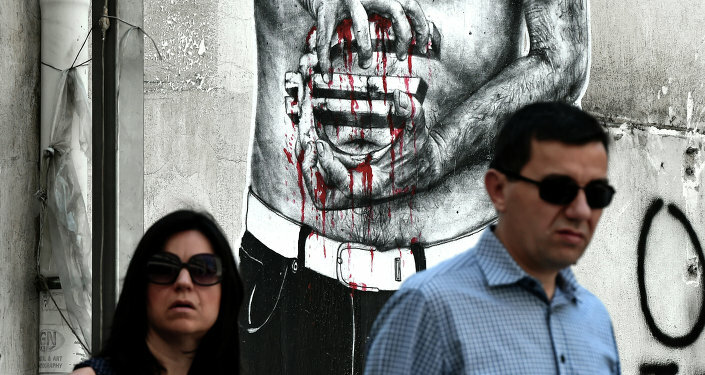 It is the euro's "straitjacket" effect, not EU governments' financial mismanagement, that is actually ruining the Eurozone economies, US journalist and economic policy writer Matt O'Brien notes. While the Greek financial crisis could be explained by corruption and investment banks' controversial policies, the economies of the Netherlands and Finland are currently facing a significant slowdown despite the fact that they have always been considered reform-oriented states with carefully thought-out financial policies. "In other words, they've followed the rules, and the results have still been a catastrophe. That's because the euro itself is," Matt O'Brien, a US journalist and economic affairs expert, emphasized. 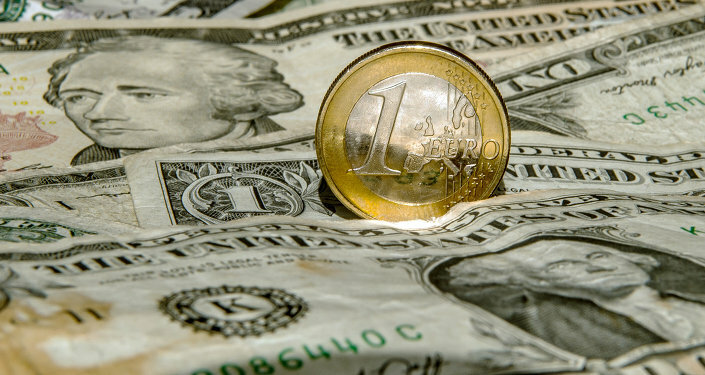 The journalist cited European Central Bank chief Mario Draghi, who recently noted that the common currency is "imperfect, and being imperfect is fragile, vulnerable, and doesn't deliver all the benefits it could." While Iceland simply devalued its currency, the krona, when it was severely hit by the global financial crisis of 2008, neither Finland nor the Netherlands had that option. They do not have a currency to devalue anymore. What they have is the euro, which prompts them to cut costs by cutting wages, causing further economic damage. "We can debate why the euro has been such a growth killing machine… but there is no doubt that the crisis in Europe today has been caused by the euro itself rather than the mismanagement of individual economies," Denmark-based economist and blogger Lars Christensen noted, commenting on the Eurozone economic slowdown issue. 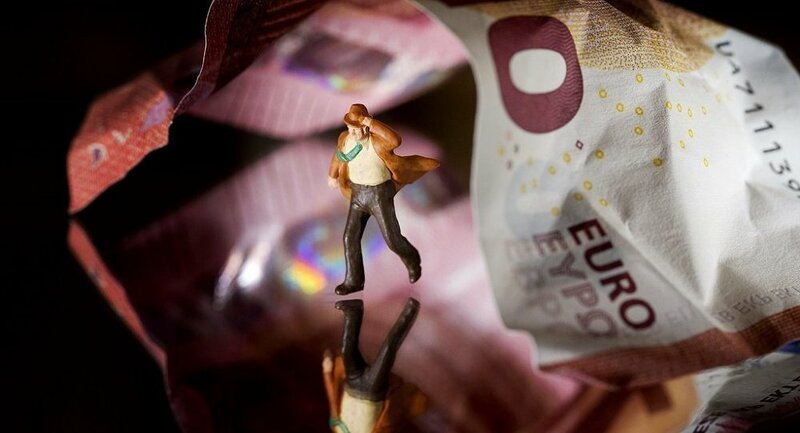 The economist even went so far as to dub the euro a "Monetary Strangulation Mechanism." Indeed, the countries which have their own currency have a number of mechanisms they can use to cope with economic hardships: for instance, they can devalue their currencies and cut interest rates. While their currencies are weak, their goods become more competitive overseas, bolstering their fading economies. In contrast, "the euro straitjacket… turns ordinary problems into extraordinary ones (Finland) and extraordinary problems into historic ones (Greece)," O'Brien emphasized. "And that can happen whether or not you follow the rules," he added. Interestingly enough, Ashoka Mody, a visiting professor in international economic policy at Princeton University, deems the situation could be fixed if Germany left the Eurozone. Quoting Citadel investment firm founder Kenneth Griffin, University of Chicago economist Anil Kashyap and billionaire George Soros, Mody suggested that if Germany withdrew from the Eurozone, there would be no losers. "A German return to the Deutsche mark would cause the value of the euro to fall immediately, giving countries in Europe's periphery a much-needed boost in competitiveness… A weaker euro would give them a chance to jump-start growth," the professor underscored, adding that to stay close "Europe's nations may need to loosen the ties that bind them so tightly." Meanwhile, the euro remains a "capricious god" and a real disaster for the Eurozone states, punishing both the "iniquitous" and the "righteous."